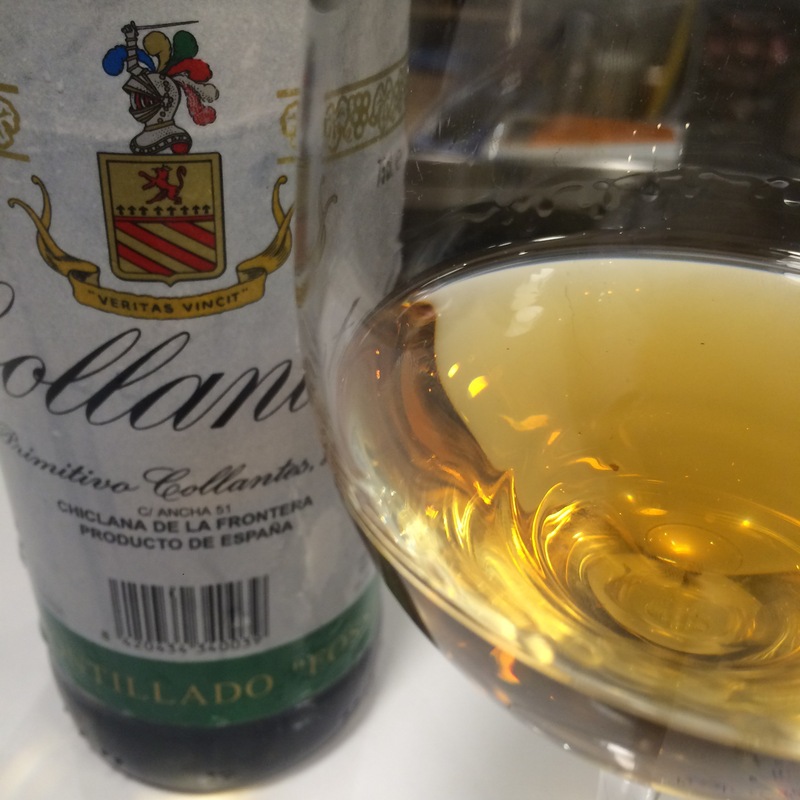 In colour it is an appetising dark gold – yellow brown rather than the orange or red notes of an older amontillado. After the fino and the en rama it is no surprise to find minerals, ozone, sea air in the nose, but the sweet caramel fruit aromas envelope and balance them in this and make it a less aggressive nose overall. In the mouth there is that same zing, those salty minerals, although for me the texture is slightly finer (maybe it is more in keeping with this fuller flavoured wine), and there are sweet caramel, fruit flavours that again balance the saltiness, fill the palate and, it may be my imagination but seem to me to get back to the fruitiness of the mosto. A really enjoyable wine with a nice edge of mineral complexity.